Starting or growing a business can be some of the most exciting ventures in a lifetime. Usually, years of preparation have gone into reaching the point where an idea becomes a full-fledged functioning reality. Business equity loans have been a proven solution for funding new and established businesses. While there are millions of business ideas, each has one thing in common. A business owner needs funding to even think of getting it off the ground. Deciding how to finance a small business is one of the most difficult decisions a business owner makes. The most common ways to do so is either to get a business loan or find financing among a variety of equity loans. The differences between the two are outlined below. A business loan means to apply for financing specifically for a company that is either a start-up or an established business. The application process includes providing information about the business, including how long it has functioned. In many cases, traditional lenders will not offer business loans to start-ups. The loan is repaid in agreed upon installments. Many business owners prefer a business loan so that they have full control over their business and its profits. However, a business loan has to be paid back each month, regardless of the profits. Another disadvantage of a business loan is that, often, small business owners must put up their personal property as collateral, and can be sued personally if the loan is unpaid. An equity loan involves giving up a percentage of the ownership in the business to an investor in exchange for capital. The investor takes a risk, rather than the business owner. If the business does not thrive, they lose the amount of their investment. Along with financial help, experienced investors usually offer sound business advice and business connections to the fledgling business. Equity loans tend to be more flexible than business loans. The main characteristic of equity loans is that the investor invests money in exchange for a percentage of ownership in the business. This differs from business loans or lines of credit, in which lenders are repaid according to a lending agreement, which ends when the loan is paid. Investors draw up complicated legal documents which protect their position from other investors (including the business owner) in case they business fails. It is imperative to get an attorney to review these documents. In order to stay on top of how the business is doing, investors will often ask for a seat on the board of directors or require financial reports. The best business investors have the ability to grow the business significantly. Equity loans do not require regular payments, they make their money back from events like business sales or public offerings. Millions of business owners have secured business equity loans with complete success. However, like any financial decision, the best choice is one that fits the needs of all parties involved. Basically, equity loans mean shared ownership. Even so, they can push a business to the heights of success as long as the owner is aware of (and accepts) that investors will have some say in the way the business is run. Again, letting an attorney who is experienced in equity arrangements create the agreement and other documents for the equity loan is imperative so that the owner has a complete understanding of the process, including tax implications. Equity loans are offered from a variety of resources. Each has its own way of funding and equity agreements, so it is in the best interest of the business owner to research each one carefully. Venture capital is financing that comes from an individual or firm that are managers of funds specifically set aside for investments in new businesses. They tend to lend themselves to start-ups, especially in the tech field. Venture capitalists offer equity loans in high value investments with the expectation of either managing the business or sitting on its board of directors. Their goal is to take an active role in the business operations. It makes sense to go to family and friends to invest in a business since, generally, they have an interest in the business owner’s vision and success. Although this option can work out exceptionally well, it can also be a slippery slope due its personal nature. For the best outcome, the business owner should make careful preparation before asking for equity loans from family and friends. The emotion should be taken out of the proposal, and the owner should provide full documentation and clear understanding, just as they would when seeking an investment from a stranger. Equity loans don’t require regular monthly payments. Very often, equity investors provide helpful advice and guidance to grow the business. Flexibility in potential investors, which can include angel investors and friends and family. The process of finding just the right investor can be more time consuming than finding a lender for a traditional business loan. Friends and family loans can result in relationship problems, especially when there is no return on their investment. Giving up equity (especially a large portion) means that the business owner loses exclusive control over business decisions in the future. In summary, equity loans to finance a business can be a creative tool to get the capital needed to get a new business off the ground. Equity loans also provide funding for established businesses to reach their full potential. Since they are different from business loans, it is important for the business owner to take extra caution with the preparation and acceptance of an equity loan. 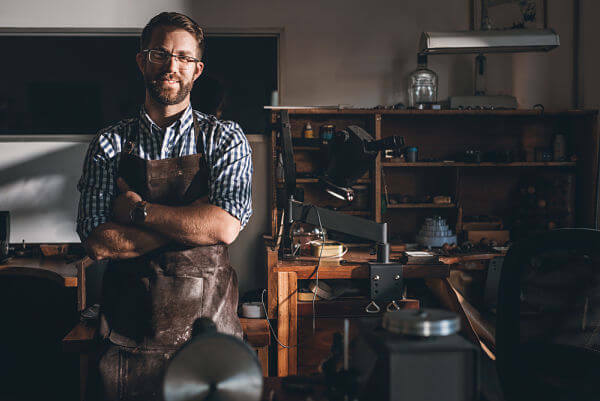 If after careful research, a business owner can justify its value to his or her company, an equity loan can be a business financing tool with excellent benefits.